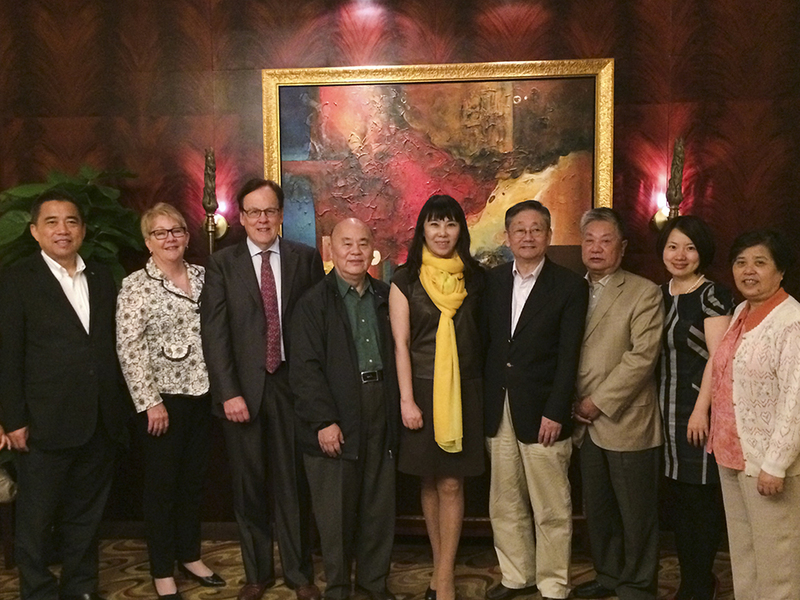 It was no mean feat to get the leaders of China’s culinary industry all together in the same room at the same time. These high powered and incredibly busy leaders took time out from their schedules to host a special meeting and lunch in Shanghai at the personal request of Dr Yuan Cai, CHINA READY Group Honorable Vice Chairman for the visit of World Service Skills International Director, Ms Jeanette Allen to China. World Service Skills International is a not-for-profit membership association and the global hub for skills excellence and development. Through international cooperation and development between industry, government, organizations and institutions, World Service Skills International promotes the benefits of, and need for, skilled professionals. World Service Skills International is the collective voice for skills excellence and development in vocational, technological and service oriented careers. They represent more than 45 skills in 72 Member countries and regions around the globe and work together with youth, educators and industries to help prepare the workforce and talent of today for the jobs of the future. Food and dining are of central importance in Chinese culture. There is a general level of dissatisfaction among Chinese people traveling outside China in relation to the poor quality of Chinese food they receive, and a lack of knowledge in Western destinations about better understanding Chinese people’s food expectations. Conversely, with China now one of the world’s most visited international destinations, awareness is high of the need to satisfy the food and dining expectations of international visitors to China. The high level Shanghai meeting arranged by CHINA READY discussed current and future food and dining trends in China and how China’s government, industry and education system were working together to train Chefs and those involved in the food and beverage sector. Chinese industry leaders explained the initiatives China and other countries have been taking through working together in a structured way to improve food and service quality for Chinese travelers in overseas destinations.